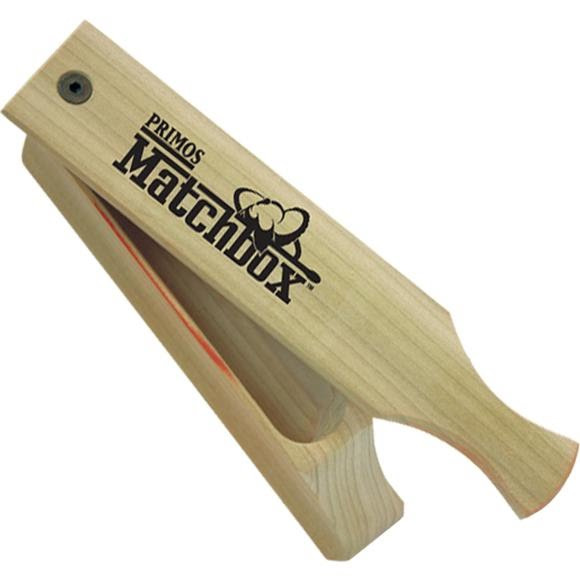 Light 'em up with the straight forward sound design of the Primos Matchbox™. For those that want a no frills box call at an unbeatable cost, we offer you the Matchbox. The Matchbox is constructed from a solid one piece box, not panels, glue or plastic like other box calls you often find at this great price. Itâ€™s not good looks that call up gobblers; it's knowing how to "Speak The Language". Light &apos;em up with the straight forward sound design of the Primos Matchbox™. For those that want a no frills box call at an unbeatable cost, we offer you the Matchbox. The Matchbox is constructed from a solid one piece box, not panels, glue or plastic like other box calls you often find at this great price. Itâ€™s not good looks that call up gobblers; it&apos;s knowing how to "Speak The Language".